Salt cells are devices housed by a salt generator installed in a swimming pools. 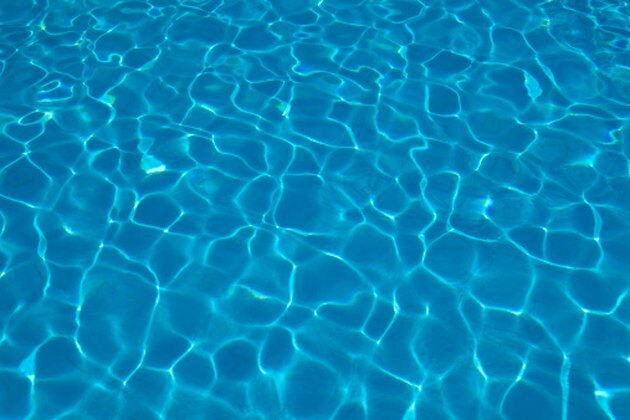 A salt cell takes salt suspended in the pool's water and turns it into chlorine through a chemical reaction. Over time, a salt cell acquires a buildup of calcium and other debris, which hampers the cell's ability to function properly. Cleaning the salt cell is done by soaking the cell in a mixture of muriatic acid and water. Muriatic acid eats through the buildup on salt cells quickly. However, muriatic acid is dangerous and should be handled with caution. Keep your pool sanitized properly with a cleaned salt cell. Fill a 5-gallon bucket to the halfway point with water. Wear safety gloves and pour 1 gallon of muriatic acid into the bucket carefully. Stir the contents of the bucket with a long metal or wooden spoon. Holding the salt cell by the power cord or top portion of the cell, slowly lower it into the bucket Do not physically touch the mixture with your hands. Allow the cell to soak in the mixture for 30 seconds. Pull the cell out of the mixture by the power cord, or use tongs to bring the cell out of the mixture. Rinse the cell off with water from a water hose, being careful not to splash any excess mixture onto yourself. Examine the cell for buildup or gunk. Repeat the soaking process until the cell is completely clean. Empty out the bucket and fill it with clean water and muriatic acid if the mixture becomes dirty.